Moving across the country seems daunting, but not when you hire the best long distance movers in Toledo. Do you require full-service, professional movers and storage services for your interstate move to or from Toledo, Ohio? Looking for a moving company that specializes in cross country moving? Stevens Moving & Storage of Toledo is here to help. With our team of experienced nationwide movers, we are ready to help you pack, move and safely store your personal belongings and valuables anywhere nationwide. Other moving companies state to state in Toledo might not take the time to learn your needs to ensure a smooth move. That’s why when the residents of Toledo and Northwest Ohio need a nationwide moving company that they can trust, they call Stevens Moving & Storage of Toledo. Your moving coordinator will be with you every step of the way, making sure that all aspects of your move are taken care of to ensure a safe long distance move. Competitive pricing, combined with our unmatched customer service, makes Stevens Moving & Storage of Toledo the leading national moving company in Northwest Ohio. Every nationwide move is customized and supervised by our team of specialists. So, whether Toledo is a few hundred miles away or a few thousand, you’ll have the benefit of our guidance every step of the way. This means when planning your state to state move, you will be assigned a moving coordinator. Not only will your moving coordinator be familiar with your local area, but they also have contacts in the area, as well. We want to provide you, your family or business with the best possible cross country moving experience. A National Mover can make your life a lot easier. By hiring the right national moving company, your planning and organization with great service will make your move a success. At Stevens Moving & Storage of Toledo, we’ve made preparing for your national move easy and efficient. We put over 45 years of experience to work for you by compiling a list of helpful interstate moving tips. We will also help you find moving boxes and will help you pack everything to avoid any damage to your belongings en route to your new home. Look for the Best Rated Cross Country Moving Companies: Checking the web for reviews is your best bet. 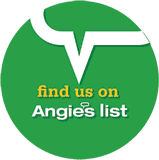 The BBB, Angie’s List and Google all provide non-curated reviews from real customers. Pick the Long Distance Moving Company Who Answers Their Phones: If they don’t answer their phones when you call for a quote, you have an idea about their customer service. Look at Their Out of State Moving Services: Packing, unpacking, home protection, large item or fragile item specialty moving services (including hot tubs, gun safes, etc.) are a sign of an experienced moving company. If you’re looking for more tips, read our blog on how to choose cross state moving companies! At Stevens Moving & Storage of Toledo, we provide you with a state to state moving coordinator to handle your out of state move. Your relocation specialist will develop a custom out-of-state moving plan to ensure exceptional customer service throughout the relocation process. As the preferred interstate movers state to state, serving the Toledo and Northwest Ohio areas, we do everything in our power to expedite your move, without sacrificing quality of service, so that you can get settled into your new home as soon as possible. From a no-obligation free quote to establishing a pre-move plan & helping you know what to do after you move in, we are committed to making your cross country relocation a stress-free move. Accessorial Services: These are out of state moving services that are requested in addition to the regular services. These include packing and unpacking services or moving unquoted items. Agent: These are the trusted cross country movers of the Stevens Worldwide Van Lines network of movers. These local movers may or may not be involved in the delivery or pick-up of your shipment. Bill of Lading: A detailed list of the goods in your shipment. You will be asked to sign this, confirming that you have received all belongings on your delivery date. Inventory: This is a full inventory that will be made of all your household goods. This inventory will then be used to create a detailed estimate for your move. Moving Coordinator: This is your primary contact at Stevens Moving & Storage of Toledo who will help you with your estimate and any questions concerning your out of state move in Toledo. Moving Quote: Three types: non-binding estimate (not guaranteed), a binding estimate (guaranteed price, not incl. accessorial services) and binding not-to-exceed (price guaranteed not to exceed estimate). ProMover (AMSA): This is a certification from the American Moving & Storage Association that the mover is trustworthy. Valuation: A list of your household items with their values that will be submitted in case of an insurance claim. Insurance is optional for most moves but is highly recommended. Interstate moves can often call for long or short-term storage options to be made available. We can help with that, too. We have our own clean, secure warehouses in Northwest Ohio, as well as access to a network of nationwide storage facilities that all meet our stringent standards. If you need a place to store your packed belongings while moving out of state, we have a solution. If you need residential pickup or delivery to your new home or office, we have you covered. We can give you a stress-free national move to or from anywhere in the country. We’re here to provide you with over 45 years of knowledge and experience. For free moving out of state quotes from the leading nationwide movers in Toledo, fill out our online form to receive your free cross country moving quote!